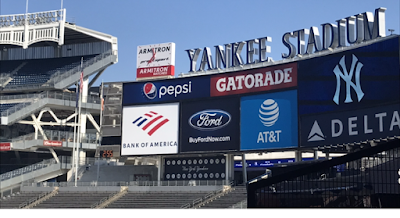 There always has been fascination about the operations of the New York Yankees, one of the greatest and most successful franchises in the world. 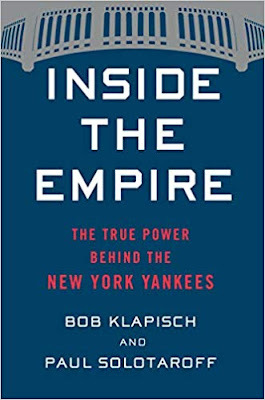 Veteran baseball writer Bob Klapisch, who has written for the New York Post, Daily News, and the Bergen Record, Paul Solotaroff, a veteran feature writer at Rolling Stone and Men's Journal, pull back the curtain of the Bronx Bombers in their new book, Inside the Empire. Klapisch and Solotaroff were given unique access to top Yankees officials, including Principal Owner Hal Steinbrenner, General Manager Brian Cashman, and team President Randy Levine, Manager Aaron Boone, and players Aaron Judge, Giancarlo Stanton, and CC Sabathia. This must-read book for Yankees fans reveals: how Cashman hoowinked Yankee legend Derek Jeter, now the Miami Marlins owner, into trading Stanton in December 2017; the real reasons why Joe Girardi was fired by the Yankees and why they hired Aaron Boone (who had no coaching experience) to replace him as Manager ahead of the 2018 season; how Cashman has survived and thrived for decades in the cutthroat world of George Steinbrenner; why the revered Joe Torre, who won four world championships as Yankees manager, is not viewed in a saintly way by the front office; and most interesting of all, how close Steinbrenner came to selling the Yankees to Chuck and Jim Dolan during the Core Four's reign in the late 1990's and the shocking price the Dolans were willing to pay. Klapisch and Solotaroff write of the Yankee president, "Randy Levine has a favorite George Steinbrenner story, or at least one that makes him laugh each time he tells it. Understand that Levine still loves the man and misses him every time he comes to mind. But you don't get to where he's gotten in life without doing right by a good year. Those stories are Levine's war pay for being president of the New York Yankees, a job that makes him feared, and, in some parts, loathed - and utterly indispensable to his team. "However you feel about him - and your view of Levine will vary, depending on whether he's crushed you in a deal - there's no half-stepping his achievements. He is the Zelig of baseball's power elite, a man who's been in at the birth of many of its biggest milestones since 1991. He was the chief negotiator for MLB during the strike years of '94-'95, when he brokered the collective bargaining agreement that brought the sport into the twentieth century. He struck the notorious deal with then-commissioner Fay Vincent to let Steinbrenner back into baseball. (Google it - it's well worth your time.) He got the new Stadium built over hellacious resistance; put the YES Network, the first team-owned regional sports net, on the air to earn billions for the Yankees; and co-founded a company called Legends Hospitality to sell food and drink at the ballpark. In its ninth year of business, Legends is now valued at $1 billion and services dozens of stadiums and convention sites. Not a bad obit, haters and all. Randy Levine (r.) with Yankees legend Mariano Rivera (c.) and NYCFC Sporting Director Claudio Reyna at an NYCFC introductory event in 2014. Photo by Jason Schott. "So, to review the punch list George handed Levine when he joined the team as president in 2000. New stadium? Check. Ticket revenues have more than doubled in year-over-year comparisons with the old park, which was actually 20 percent larger. New network? Check. YES is a cash cow on steroids (like most cows these days, come to think of it). New revenue sources? Check and double-check. Aaron Judge's jersey is the biggest seller of the last two years, even excluding those bootleg shirts on River Avenue. (Note to consumers: Most of that stuff isn't licensed, so read the label on the garment closely. Then read it again.) But the best part of all the Yankees' off-site income, including the proceeds from Legends, their dividends from YES, and the New York City Football Club, of which the Yanks own 20 percent? Most of that money isn't subject to revenue-sharing, so the team keeps ninety cents of every dollar those streams deliver." The 2018 season, which was much-anticipated after the Yankees nearly made the World Series the year before, is the backdrop for Inside the Empire. Klapisch and Solotaroff go deep into the Yankees' clubhouse, dugout, and the front office to give baseball fans a front-row seat to the churning drama and unyielding pressure as the Yankees engaged in an epic race with the Boston Red Sox. One of the turning points last season was when the Yankees called up one of their top prospects a few weeks into the season when they were off to a slow start and needed a boost. The authors write, "On the fourth Sunday in April, when they were barely above water and floundering behind Boston and the Jays, the Yanks promoted Gleyber Torres, the Hope diamond of their vaunted system. A kid from Venezuela acquired from the Cuba in Cashman's benchmark heist of 2016 (the reliever he gave up, Aroldis Chapman, signed back with the Yankees that fall), Torres was twenty-one and had half a season's experience of high-minors ball for the Yanks. A born shortstop, he was also playing out of position: blocked by (Didi) Gregorius, he'd been shunted to second, where he was still doing on-the-job training. But for a chunk of the '18 season, he was the Yanks' best all-around player, a kid with the advanced skill set and emotional savvy of a ten-year star. Gleyber Torres rounds the bases on a home run against Oakland on May 11, 2018. Photo by Jason Schott. "Boone batted him ninth to break him in easy and add a little length to the lineup. Instead, Torres took the team off Didi's shoulders and carried it for the next five weeks. Between April 24 and June 4, no one could get him out. He hit .336, drove in twenty-seven runs, and almost broke the record for fastest-to-ten-homers by a Yankee rookie. None of those shots were short-porch chippies: the kid who hadn't hit for power in the minors was launching them to the black in dead-center. In a stretch when most of the run producers were mired in long funks (Stanton, Sanchez, and Gregorius hit .211 combined and were benched off and on by Boone), Torres and Miguel Andujar, the rookie costars, turned the batting order upside down. "Those five weeks made the Yankees' season. They played .75- ball, overtook the Sox, and became the team everyone feared back in March. During a particularly grueling run against the league's best clubs - from late April to May 10, the Yanks played thirteen games against the Angels, Astros, Indians, and Red Sox and won eleven of them - Torres was the difference-maker. One four-day span largely told the tale: the kid was a born killer in big spots. On May 3, against the Astros on the final lap of their Western trip, the Yankees were down 5-3 in the ninth, after a rare blown save by Chad Green. Torres, a marvelous two-strike hitter, short-stroked a 3-2 slider to deep left, tying the game and sending the go-ahead run to third; Judge delivered that runner, one out later, with a grounder. "The next night Torres sparked his dog-tired team with a three-run bomb to left, jumping them out to an early lead on Cleveland. Two days later, after another bullpen bobble, this one by Dellin Betances, the ice-cold Stanton was intentionally walked so the Indians could face Torres in the ninth. He fought off slider after slider to get to 3-2, then jumped at a changeup on the outer half. The ball leapt off his barrel, bound for right-center, but just kept going and going. By the time it fell to earth in the Yankees' pen, 415 feet the opposite way, the huge Sunday crowd had gone berserk. As the Indians trudged off, wondering what had hit them, and the Yankees hopped the rail to dog-pile Torres, Didi grabbed the Gatorade bucket and drenched him not once but twice. Soaked to the skin, Torres calmly wiped his face and fielded questions from on-field reporters. In lilting but broken English, he chanted the catechism: I try stay focus and help the team. "Thames was stunned. Most players don't watch the Series: it's too painful to bear if you're not in it. But here was a twenty-year-old, four months postsurgery, who'd treated it like a night school course. He'd already gleaned that there were pitchers like Keuchel who never give in to a hitter, throwing him further and further away until he submits and rolls a grounder to short. 'It said a lot about his maturity and awareness,' says Thames. 'You don't see that stuff in a rookie.' Six months later, in May, Torres went up against Keuchel and hunted for a pitch to drive. Ultimately, Keuchel hung a slider to him; Torres scorched it into the corner for a double. After the inning ended, he passed Thames in the dugout. "Remember what we talked about in Tampa?' he said, winking." 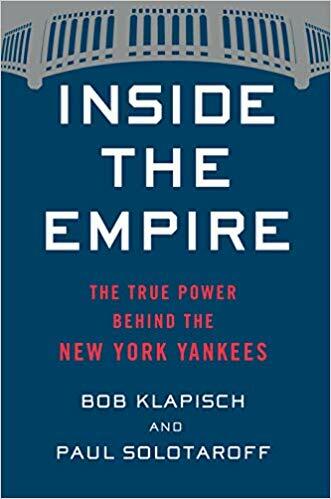 Inside the Empire is one of the most entertaining insightful book on the Yankees you will read, and it perfectly illustrates how they have been a winning team for the past 25 years.